On Sunday, January 31, 2016, I preached a sermon based on Mark 3:13-19. This message was part 4 in the “Share” series. Below you will find questions for personal reflection or group discussion. What evidence do you see that the general values of this world are “ME” focused? 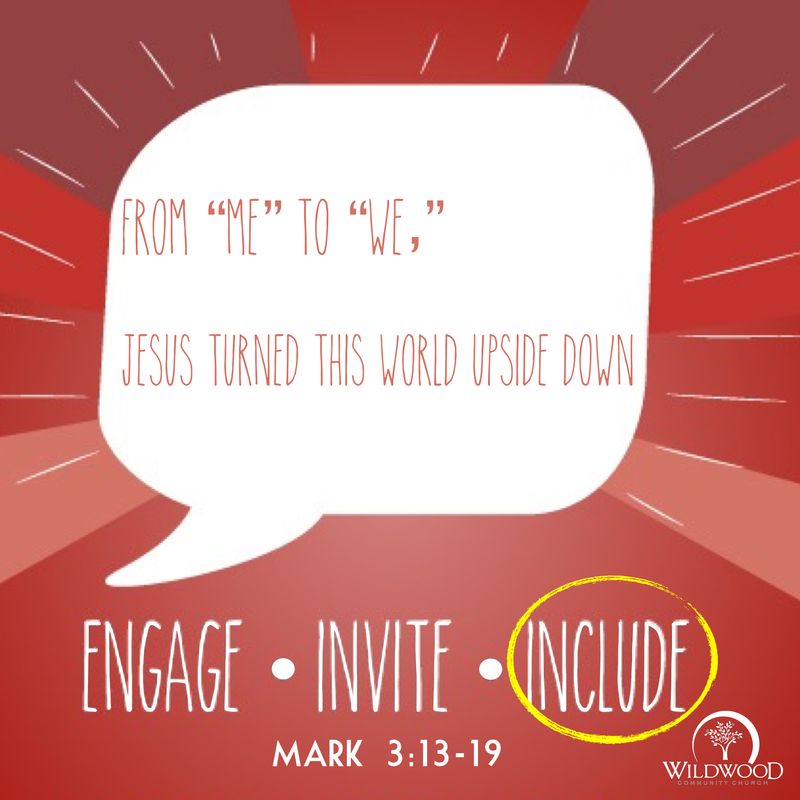 What do you think was meant by a “WE” culture in Christ? Jesus chose 12 people to be Apostles. He chose these twelve from a larger group of His followers. Imagine you were one of the other followers of Christ who were not chosen to be one of the 12. How do you think you would have felt about not being included as one of the 12? Why do you think Jesus chose to focus on the 12? Do you have a smaller group of people who you are following Christ with? Maybe this is a small group, service team, Bible study, etc.? Jesus’ ministry to the 12 was intended to fill them up so that they might overflow and include others. In what way is it strategic to invest in a few? **Who are “a few more” that God might have you include in your community this year? What stood out to you most from today’s message? ** Note: If you only have time for one question, consider asking/answering the question marked by the two stars. PDF copy of the questions is available here.